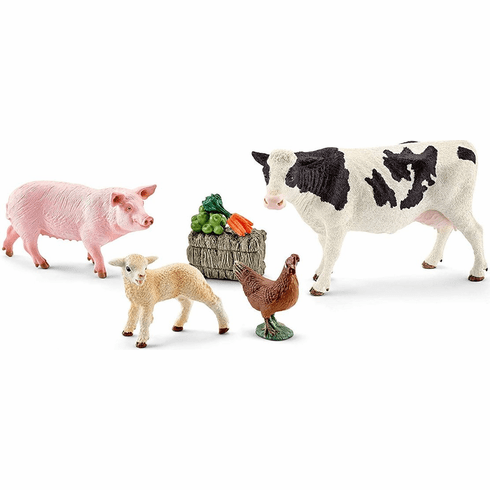 Schleich My First Farm Animals. The first animals have arrived on the farm and found a nice place in the stalls. In order to ensure that they develop properly and that their numbers increase, the farmer only gives them the best feed.